Kyle Wiley Pickett, the Topeka Symphony Orchestra's music director and conductor, guides musicians through a rehearsal at White Concert Hall on the campus of Washburn University. 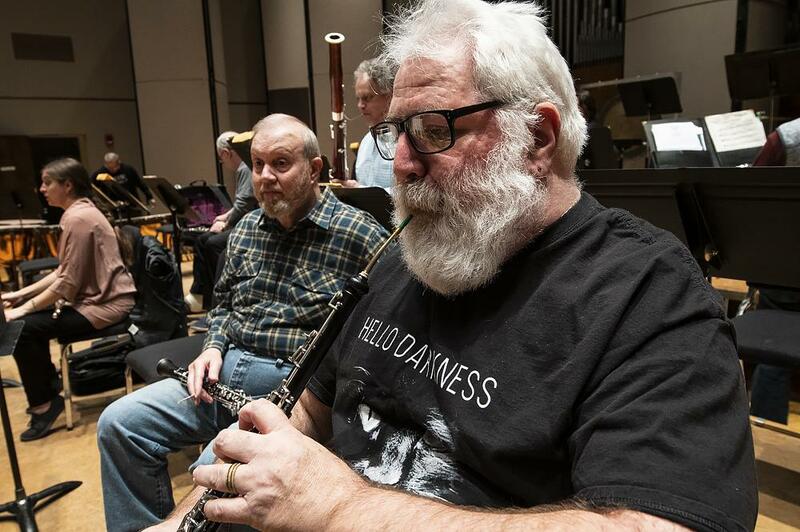 "It's what can we do to help," said James Mosher, an oboe and English horn soloist who has performed with the group for more than 30 years and is its current president. "I am a huge fan of music and its ability to heal and it's one way that we can share with people who may not necessarily have come to see a performance of the symphony." The orchestra joins other arts organizations that have begun to offer entertainment to federal workers. The Kansas City Repertory Theatre is offering free tickets to any government worker, whether they're employed at the federal, state or local level, throughout the run of "Indecent," which ends Feb. 10. "We will consider extending the offer if, heaven forbid, the government shutdown has not yet been resolved," said Amy Lebo, director of marketing and communications. The Kansas City Symphony will provide two free tickets to furloughed government workers for performances featuring guest pianist Alon Goldstein Jan. 25-27. James Mosher, oboe and English horn soloist with the Topeka Symphony Orchestra, said he wanted to find a way to help furloughed workers during the partial government shutdown. 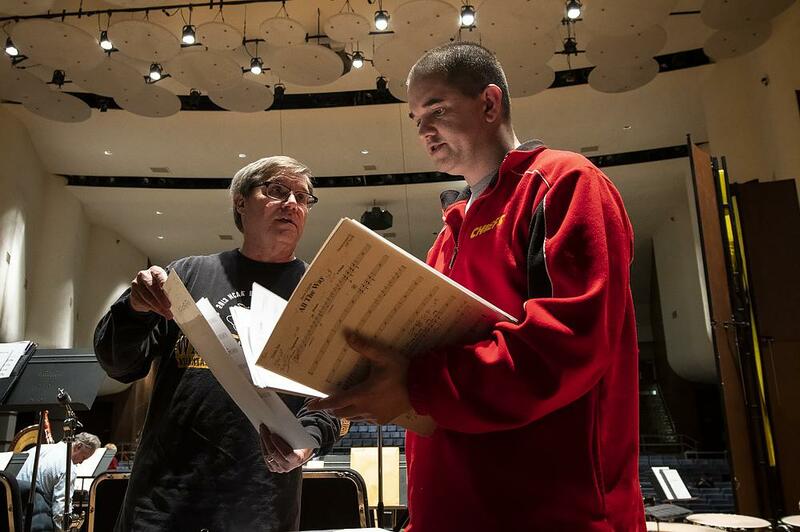 Mosher said it was a Facebook announcement about an orchestra in Minnesota that led him to suggest the idea at a recent board meeting of the Topeka Symphony Orchestra. Music Director and Conductor Kyle Wiley Pickett said the musicians were eager to try to help. "For some of us who are not federal employees or don't rely directly on something that the federal employees do, it's maybe a nuisance but not anything major," Wiley Pickett said of the shutdown. But for some people and families who are directly affected, Pickett said, "it's a real economic crisis." Approximately 3,244 federal workers live in Shawnee County, Kansas, according to Freddy Mawyin, a research manager at the Greater Topeka Partnership. “There is a Coast Guard station here, which always puzzles people — 'Why is there the Coast Guard in Kansas?'" said Bob Keckeisen, the orchestra's assistant general manager and principal percussionist. "But one of their big pay stations' administrative operations is right here in Topeka." Keckeisen said he knew free tickets to one concert wouldn't solve the problem. Principal percussionist Bob Keckeisen and fellow percussionist Shawn Evans discuss the music prepared for February's concert, which includes many of the romantic ballads made famous by Frank Sinatra. "There's not much any of us individually can do to affect policy at the national level, especially when you seem to have two sides entrenched against each other and we are just on the sidelines watching," added Wiley Pickett. But responding to current events fits with the theme the orchestra is exploring this season, billed as "The Big Questions." Through classical and popular music, the musicians are examining philosophical questions humans have grappled with for centuries. A September concert was billed as "What is the meaning of life?" February's pops concert contemplates the ideas of love and marriage, with the romantic ballads of Frank Sinatra as interpreted by Steve Lippia. May's concert is titled, "What is my fate?" 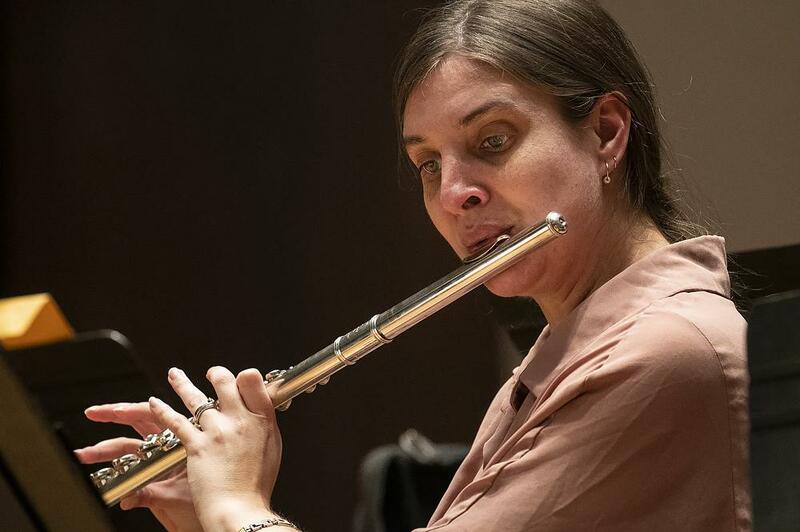 Principal flute player Hannah Porter Occena joins other orchestra members in using music to explore the big philosophical questions of life. "They are soul-uplifting pieces," Wiley Pickett said of standards in the classical music repertoire. "And so if that is what we profess to do, that's what we ought to be doing especially in times of need and trouble." Editor's note: Since it was originally published, this story has been updated to include information about the Kansas City Symphony providing free tickets to furloughed workers. On what threatens to become the longest government shutdown in history, Kansas Republican representatives tend to agree — Democrats are to blame. It's the third week of the shutdown, which came after Democrats and Republicans in the Senate failed to reach an agreement on a spending bill that would allocate $5 billion for a border wall. That means it's the third consecutive week thousands of federal workers across the country have gone without pay. As President Donald Trump prepared to address the nation about the partial shutdown of the federal government, U.S. Sen. Jerry Moran huddled with staffers this week talking about rocket launches. They fretted over whether the furlough of workers at NASA and the Federal Aviation Administration could force the delay of satellite and experimental rocket launches. Missourians who are eligible for Food Stamp benefits will receive their February Food Stamp benefit early. The United States Department of Agriculture, Food and Nutrition Service (FNS), which administers the Supplemental Nutrition Assistance Program (SNAP) or Food Stamp program, informed states that payments for the February Food Stamp or SNAP benefit must be issued on January 20 due to the partial federal government shutdown.